Here are the fifth and sixth little quilts. These were initially created by my mother and finished by me. I just realized there are still pins in the second one. Just trying to add a little character. More images of each are available on my flickr page. These both measure 42ish" by 50ish". How lovely! 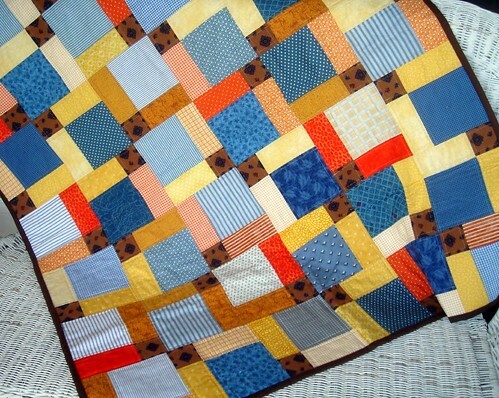 I love the colors and of course I love the squares. Just lovely. I agree...simply lovely. 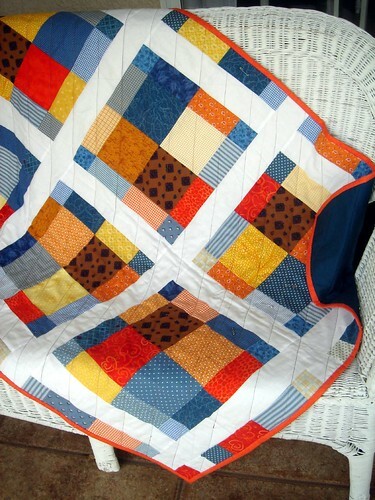 It always amazes me how the same fabric can be so different in two quilts.